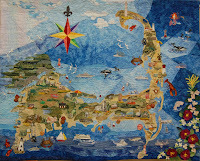 Dennis Public Library: Bayberry Quilters Raffle Quilt on Display - Change in Date! Bayberry Quilters Raffle Quilt on Display - Change in Date! The Bayberry Quilters have been working hard all year and their stunning work is complete. 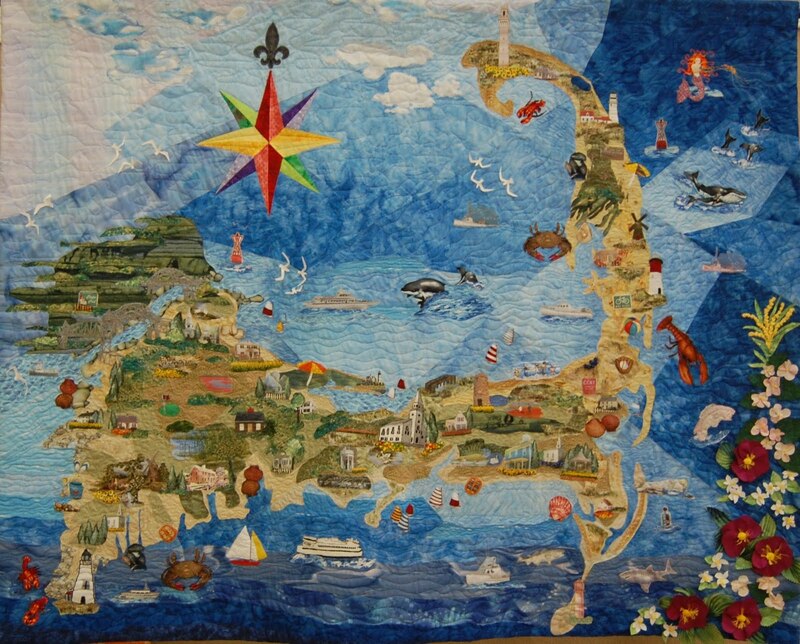 The quilt features the outline of Cape Cod and whimsical details like mermaids, lighthouses, ferries, flowers, and a compass rose. Buy your raffle tickets, $1.00 each or 6 for $5.00. The quilt is the grand prize, but second and third prizes are offered. Proceeds go to fund scholarships for Cape Cod Regional Technical High School students pursuing higher education. Be generous and be lucky!